Just over 24 hours to go. If you are going to get in, now is the time. We return to OSR Christmas in the morning. Its Day Five of OSR Christmas. Before we get to today's festivities, let's find out who is the recipient of yesterday's awesome gift. Dak Ultimak - congrats. Email me at tenkarsDOTtavern and we'll get you hooked up. Inspired by Judges Guild’s classic Traveller deck plans: Starships and Spacecraft. 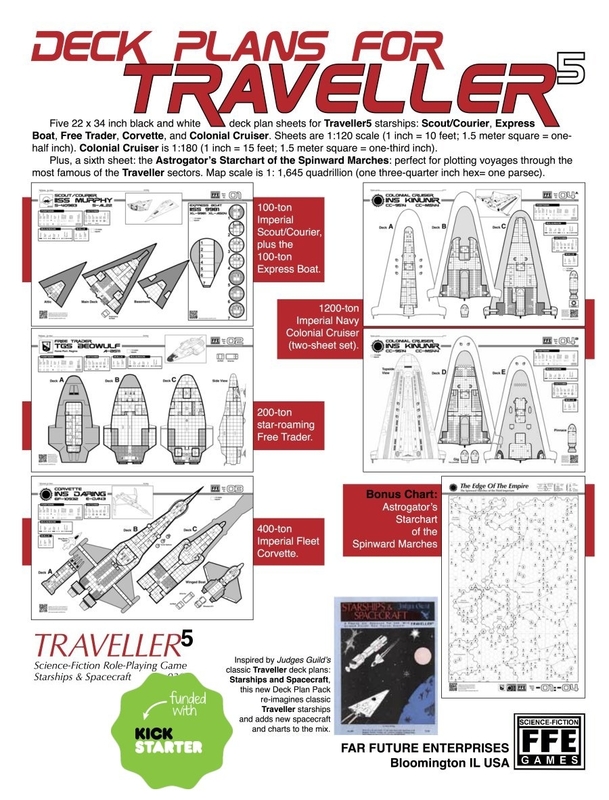 This new Deck Plan Pack re-imagines classic Traveller starships and adds new spacecraft and charts to the mix. Scout/Courier, Express Boat, Free Trader, Corvette, and Colonial Cruiser. Sheets are 1:120 scale (1 inch = 10 feet; 1.5 meter square = one-half inch). Colonial Cruiser is 1:180 (1 inch = 15 feet; 1.5 meter square = one-third inch). Plus, a sixth sheet: the Astrogator’s Starchart of the Spinward Marches: perfect for plotting voyages through the most famous of the Traveller sectors. Map scale is 1: 1,645 quadrillion (one three-quarter inch hex= one parsec). Its Day Four of OSR Christmas. Before we get to today's festivities, let's find out who is the recipient of yesterday's awesome gift. DungeonMapper - congrats. Email me at tenkarsDOTtavern and we'll get you hooked up. Now for today's gift. We are giving away the L1 The Secret of Bone Hill (1e) in Print & PDF. This is a classic adventure and one of the very first sandboxes to be published. Danger lurks in the Lendore Isles. Bands of evil creatures prowl the hills overlooking the town of Restenford, seeking unwary victims. Now you have come to this sleepy little village looking for adventure and excitement. You seek to fathom the unexplored reaches of Bone Hill and unlock the mysteries of Restenford. This module contains complete information on the town of Restenford and the lands surrounding it. Included herein are encounter tables, background information, and numerous maps of the town, the surrounding areas, a dungeon, and various points of interest. This module may be incorporated into an exisitng campaign or used in conjunction with THE WORLD OF GREYHAWK Fantasy World Setting. I know many of you are fans of the Old School Blues Podcast. Vince and I (along with the podcasts many well known guests) have a blast recording and we hope it shows. 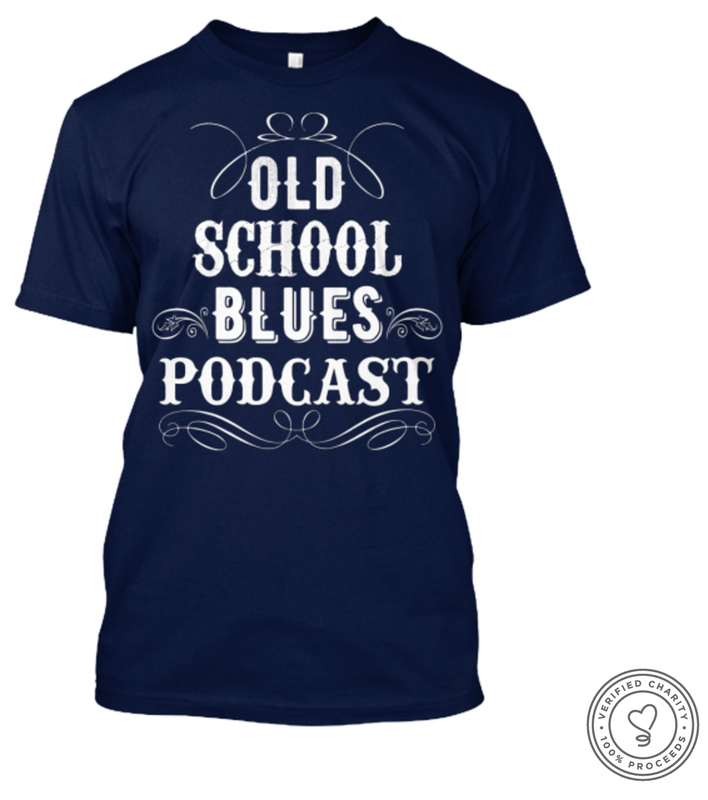 If you want to show your appreciation for the Old School Blues Podcast and show it with style, consider purchasing an Old School Blues Podcast t-shirt. 100% of the profits go to the Wounded Warrior Project. I posted about Beneath the Inverted Church (an adventure that included the "seducing" of doors) back in September when it was actively funding on Kickstarter. 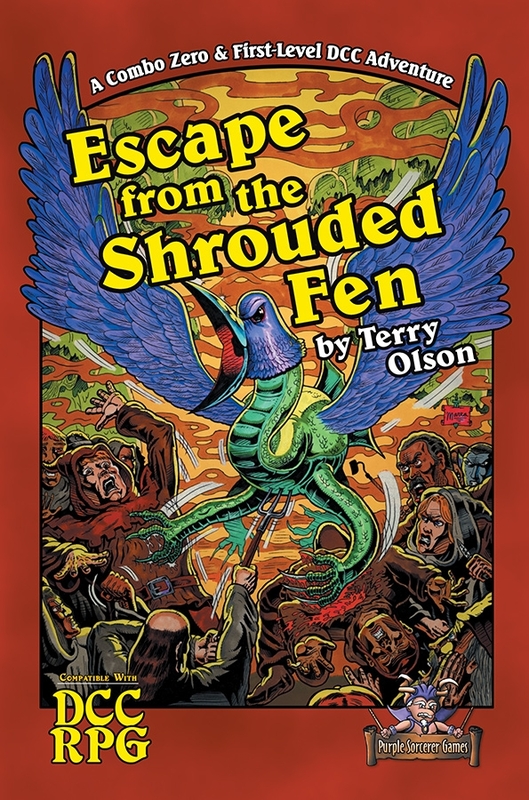 It successfully funded and the Kindle ebook format of the adventure is now available at Amazon, for free if you have Kindle Unlimited. I'll be taking a peek at this at some point, but my desk if full of titles to review and work that needs writing. If someone does read this and wants to review it, reach out to me and I'll see what we can arrange. Its Day Three of OSR Christmas. Before we get to today's festivities, let's find out who is the recipient of yesterday's awesome gift. Erik Myers - congrats. Email me at tenkarsDOTtavern and we'll get you hooked up. Now for today's gift. We are giving away the OSRIC Pocket SRD in Print & PDF. 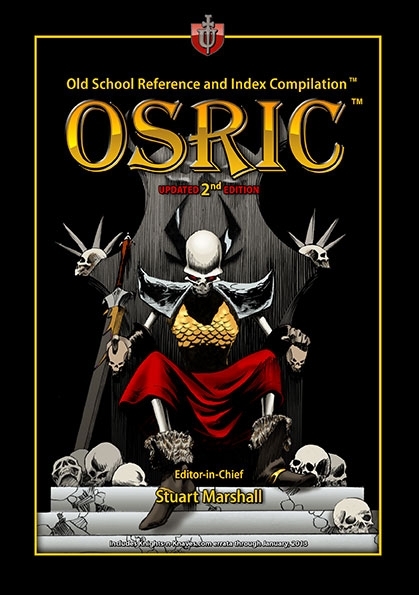 OSRIC is a cornerstone of the OSR. Note, the PDF is free and there is absolutely no reason anyone should not have a copy. 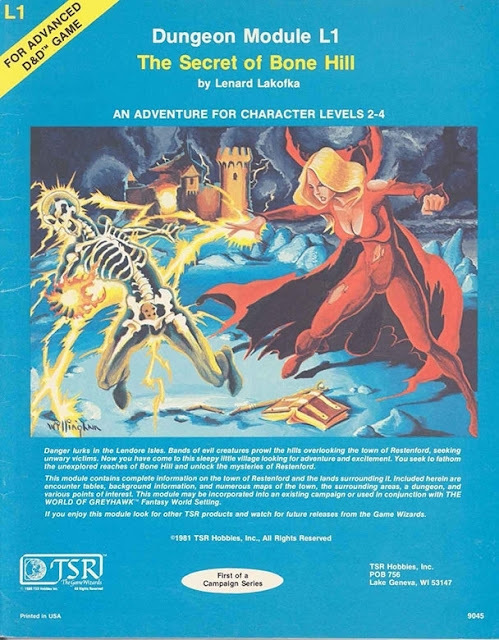 This book represents a compilation of rules for old school-style fantasy roleplay gaming, and is intended to reproduce the underlying rules used in the late 1970s to early 1980s. A complete game manual in itself, this source reference document (SRD) includes everything the game master and player alike require for beginning to advanced level play. Can you believe its yet another Wednesday? That means, you guessed it - Tavern Chat! Talk with you all tonight! Sometimes you just want to gift yourself. Its easier when the gifts you want are free. 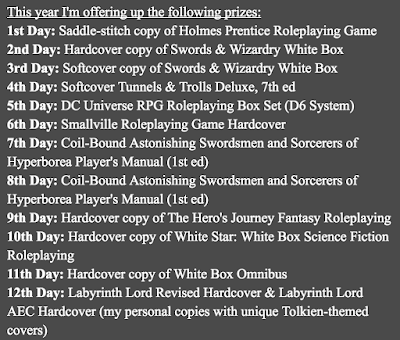 Such it is with the Gongfarmer's Almanac, a free in PDF DCC RPG Fanzine. Just because its free doesn't make it cheap. 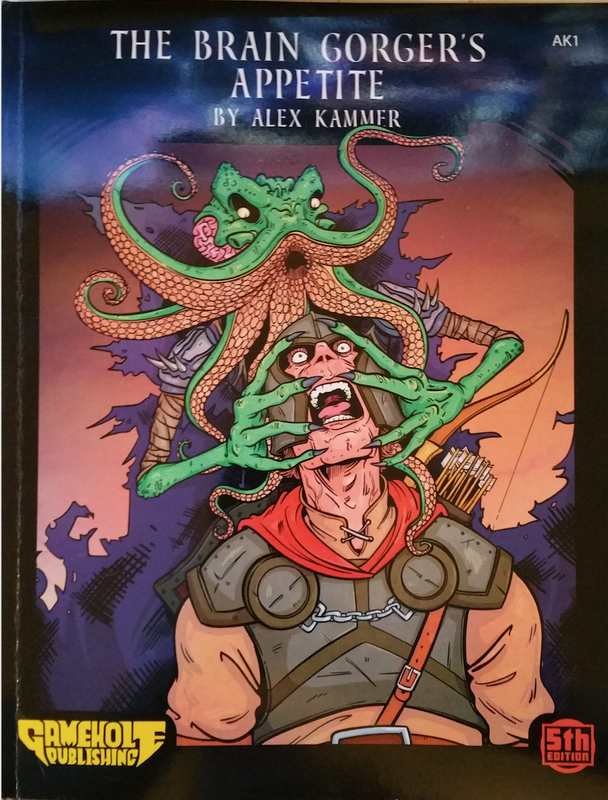 Grab an issue or a dozen see what you can squeeze into your OSR campaign. Looking for an at cost, in print compilation? Lulu has you covered. 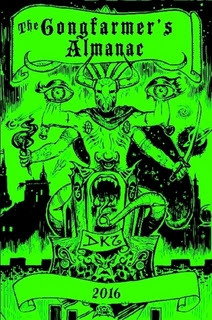 The Gongfarmer's Almanac is a Dungeon Crawl Classics RPG(TM) 'zine that is written, illustrated, edited and produced by the DCC RPG G+ Community. 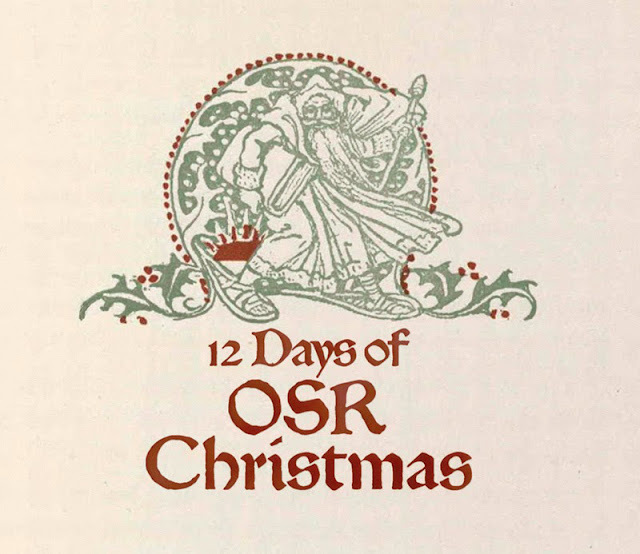 Its Day Two of OSR Christmas. Before we get to today's festivities, let's find out who is the recipient of yesterday's awesome gift. +Wayne Humfleet - congrats. 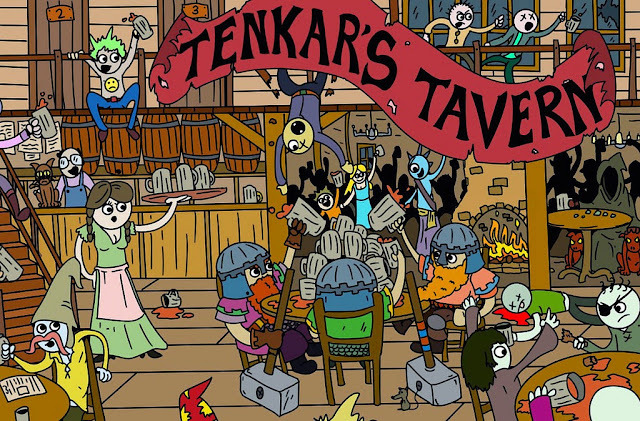 Email me at tenkarsDOTtavern and we'll get you hooked up. Now for today's gift. 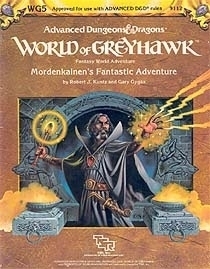 WG5: Mordenkainen's Fantastic Adventure (1e), written by Gary Gygax and Rob Kuntz, its part of OBS recent TSR Era POD offerings. Four great and powerful heroes travel in search of adventure. Led by Mordenkainen, wizard without peer, they have come to mysterious Maure Castle, a forlorn and foreboding place, source of wonderment and awesome adventure, following a strange and terrible story. 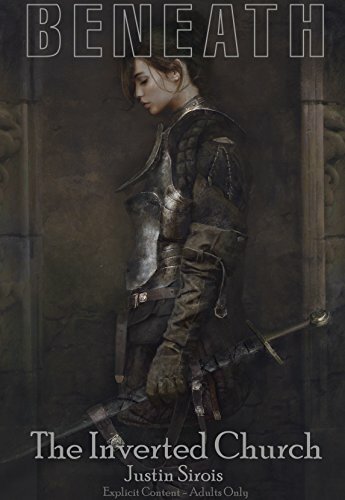 For, somewhere deep beneath Maure Castle, from whence no person has returned alive, there stand two massive iron doors -- doors without latch, lock, or handle -- the Unopenable Doors. And if the doors are opened, what then? Such potent evil, such terror lies beyond, that even the bravest adventurers may quail before the ultimate test! Mordenkainen's Fantastic Adventureis a challenging adventure for high-level play. 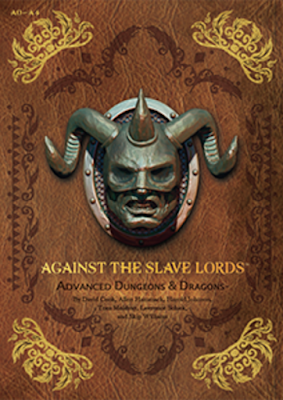 Four original characters from Gary Gygax's famous Greyhawk campaign are included for your use. Can you meet the challenge? Can you survive what lies beyond ... the Unopenable Doors? 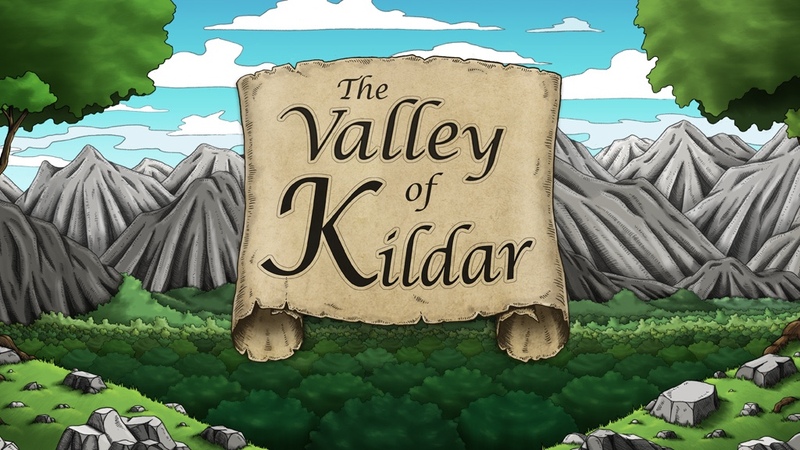 An adventure for characters level 9-12. Thomas was brought to my attention earlier today. As gamers, we tend to be a generous lot. This is simply another opportunity to be generous for a worthy cause. The Tavern will match up to the first £100 donated by readers of The Tavern by the end of the week, Saturday December 17th, 2016. Please indicate your donation in the comments to this post. We organized a sponsored 24 hour Dungeons and Dragons session to help raise money to support a young boy called Thomas with Cerebral Palsy. I was Thomas' key person at his nursery and I can't tell you how wonderful and resilient this little guy is. He is always making everyone smile and we would love to return the favour! It would mean the world to him and his family if you could help him get SDR (Selective Dorsal Rhizotomy) surgery which is sadly unavailable on the NHS in the UK, and would greatly increase his chances of walking, running and dancing! This would cost a total of £75,000 with surgery, physiotherapy and aftercare and so as much as you can donate would be incredible! There will be one more session to support Thomas streamed on our Twitch channel in approx. 4-6 weeks! For those who do not know what this entailed, there is around 2-3 days of planning for 4 hours of Dungeons and Dragons and so a session of this length will take around 12-18 days to plan and get ready for upfront. It will also mean finding at least 3-4 people to play the characters in the story at a time, and will likely mean having at least 12 people involved to take turns and share the 24 hours. 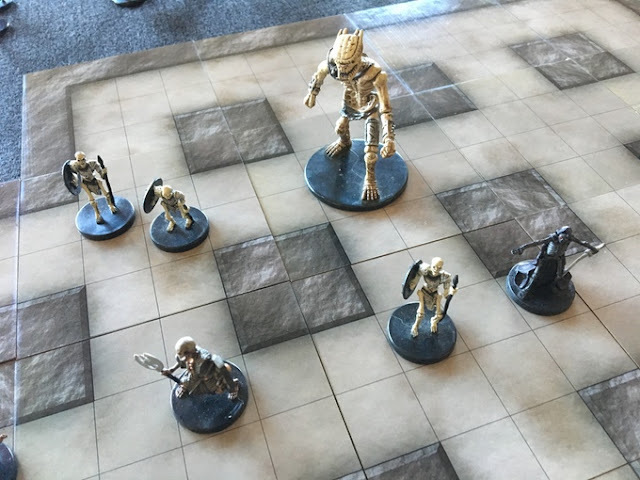 I was the storyteller, or Dungeon Master, throughout the entire 24 hours, helping players to find conclusions to their often questionable actions alongside enforcing rules. The story led our characters through our fantasy world of Vanderuum, with elves, orcs, magic, monsters and dungeons. They will interact with different people, and decide how they solve problems in the world, as the story unfolds for everyone. You will be able to watch us live through a Twitch stream so that you can watch as we play through our session, and donations during the stream will help or hinder the players through donation rewards. Anything you can donate will be greatly appreciated and will help a wonderful child to gain more independence. If you can not donate then please share to as many people as you can! Thomas and Dylan arrived on the 4th January 2013 very early, nearly 10 weeks early. Weighing less than 3lbs they had to fight hard to survive but they did and thankfully soon began to put on weight and grow strong. After 10 weeks in SCBU ( Special Care Baby Unit) they came home and finally we were free to hold and nurse our babies- after 10 weeks in hospital we were free to take care of our boys. They thrived. We all fell in love. An MRI scan at 2 years of age showed that Thomas has some neurological damage. A diagnosis of Cerebral Palsy was confirmed.This explained why he had been slow to reach many of the expected physical milestones. Thomas is now 3 years old. He continues to make good progress but he is still unable to stand or walk independently. 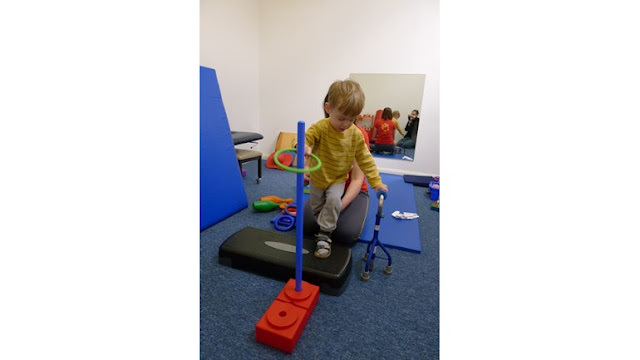 Thomas is able to walk with his walker and enjoy chasing his brother around but he wants to do more, he wants to catch him! He needs SDR ( Selective Dorsal Rhizotomy) surgery to increase the chances of being able to live and walk independently. The cost of having this life changing treatment in the UK is approximately £45,000. To give Thomas the best chance of benefiting from the surgery and subsequent physiotherapy, it’s important that he goes into the operation as strong as possible. He needs intensive physiotherapy and numerous specialist pieces of equipment to build up this strength. The cost of pre-op equipment is likely to be £5,000 to £10,000. Physiotherapy and equipment post-op will be a further £10,000 each year for 2 to 3 years after the operation. Therefore we want to try and raise £75,000 in order to give him the best possible outcome. If you would like to make a donation, organize an event, be sponsored or donate a prize to be auctioned please do. Your help will be life changing and would be hugely appreciated. Let's kick off the first day of OSR Christmas 2016! Today's offering is Escape from the Shrouded Fen for the DCC RPG, published by Purple Sorcerer Games. What happens when a demon dies? Oozing, scalding, deathblood floods the land, cursing it forevermore. Every seventeen years, the blood moon rises and the Fog Beast beckons villagers into the Shrouded Fen; those that follow never return. Now you have been chosen! Seeking ancient ruins, vast treasure, and arcane lore, you plunge deep into the mist-laden swamp. Plants impale corpses ravaged by man-eating birds, while specters of past victims roam the blood-cursed land. A mysterious floating portal defies entry, though the bog’s hidden artifacts are rumored to provide the key. 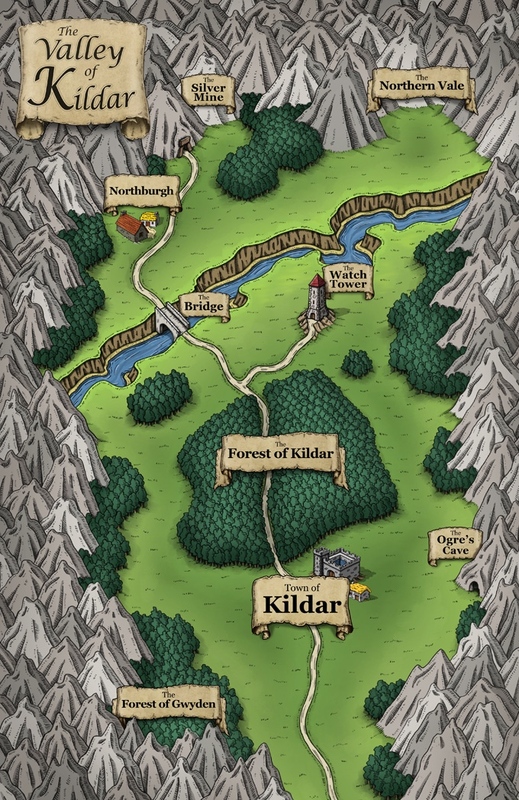 Can you solve the riddles of the swamp and escape from the Shrouded Fen? -Incredible artwork from Benjamin Marra, and maps from Dyson Logos! -A host of random encounters and events to keep things interesting! 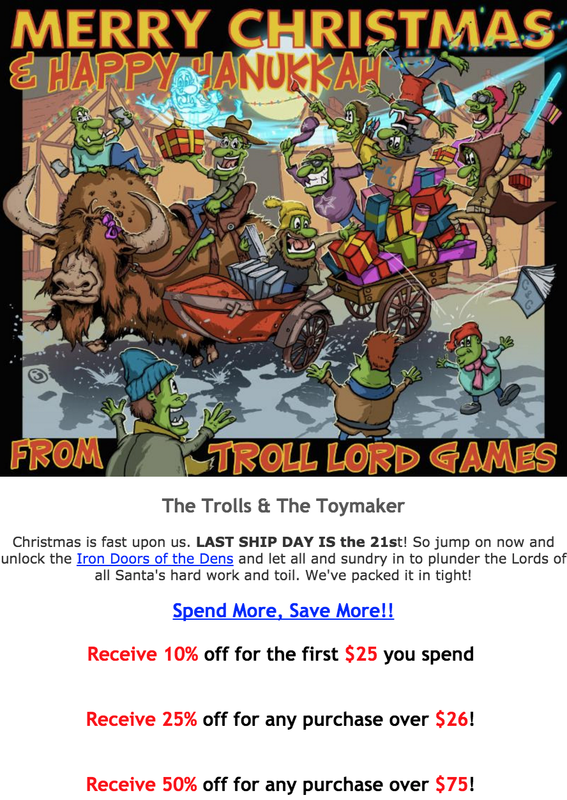 Fat Goblin Games has marked its selection of Old School / Labyrinth Lord releases down to a buck each for the next 24 hours. Now, while I do not have experience with the Bestiarum Vocabulum series of releases, I do own both Basilisk Goggles & Wishing Wells and Sinister Serpents: New Forms of Dragonkind. They are amazing values at full price, let alone a buck. 12 Days of OSR Christmas Starts Tomorrow - How Will it Run This Year? Anyhow, OSR Christmas kicks off tomorrow, December 13th and will run for at least 12 Days consecutively, December 24th. I suspect there may be some bonus days between Christmas and New Years. 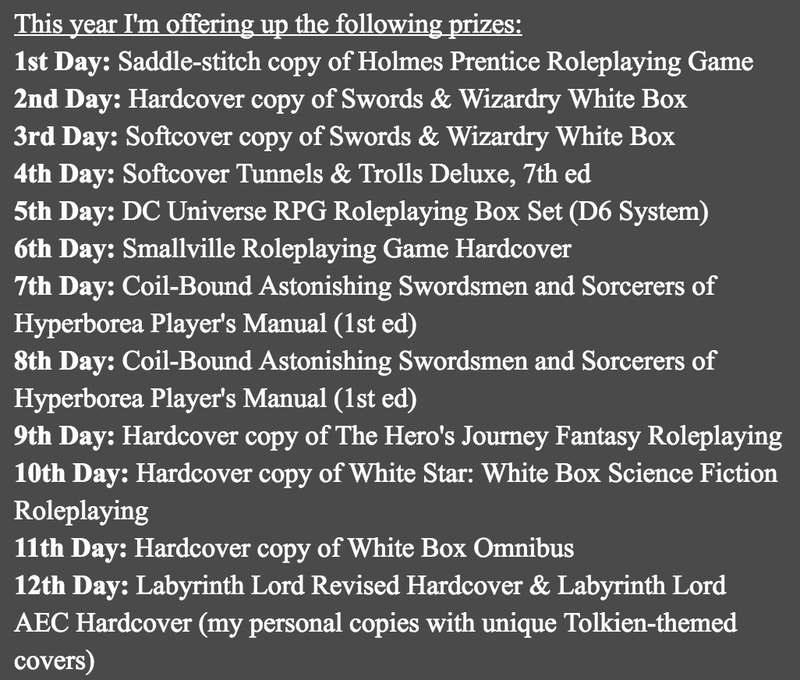 - Each day of OSR Christmas I will be giving away RPGNow Credit equal to the price of an OSR product of my choosing that is available Print on Demand. You are not required to purchase said item in Print nor PDF, and shipping will be handled by the gift recipient. Overseas may prefer to use said credit for PDF purchases depending on the shipping costs. 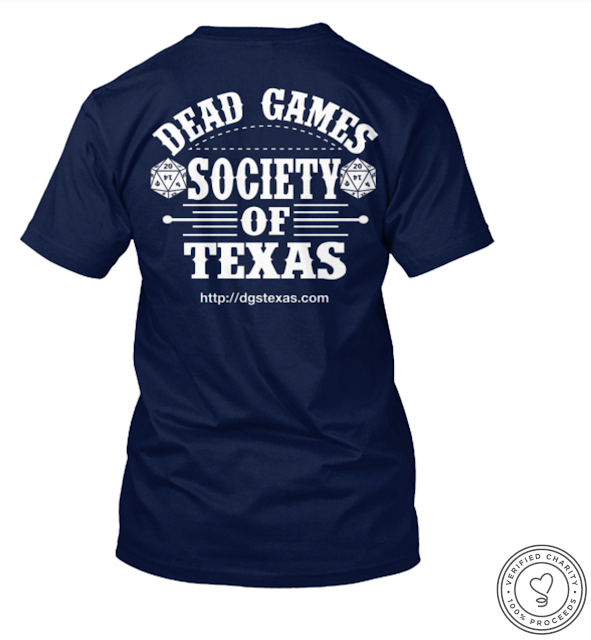 - Publishers / Bloggers / Podcasts / Friends of The Tavern, are encouraged to run their own giveaways and / or sales for OSR Christmas. 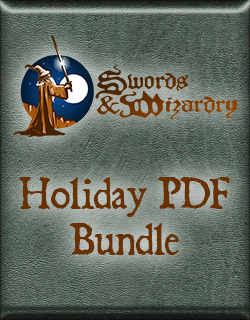 I will post and link to every OSR Christmas Giveaway / Sale that is brought to my attention, and will repeat the information for each day such Giveaway / Sale is in effect. How each giveaway is handled is to be determined by the gift giver. It may require commenting on a blog post, forum post, G+ post, Facebook post - such info will be included in the posting "here" that will send you "there"
- I intend to offer a Santa's Grab Bag on December 24th. It will include a shitload of stuff. It will only ship within the states. Yes, the US Postal Service hates every other country in the world. - OSR Christmas posts for The Tavern Giveaways will usually go live in the AM. 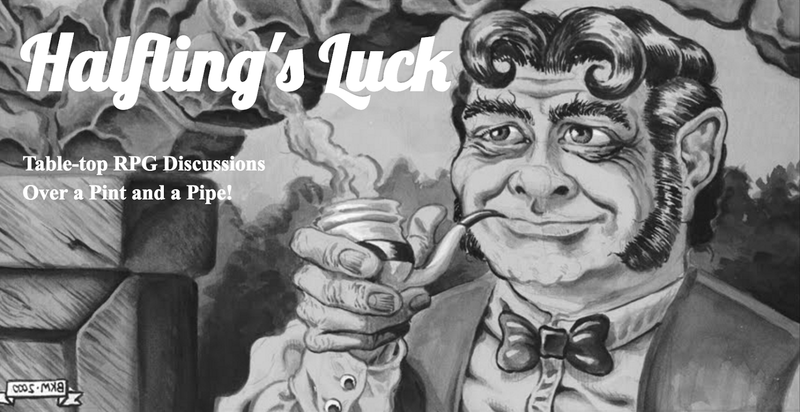 Posts for other Publishers / Blogs / Podcasts / Friends of The Tavern will generally go live in the afternoon. 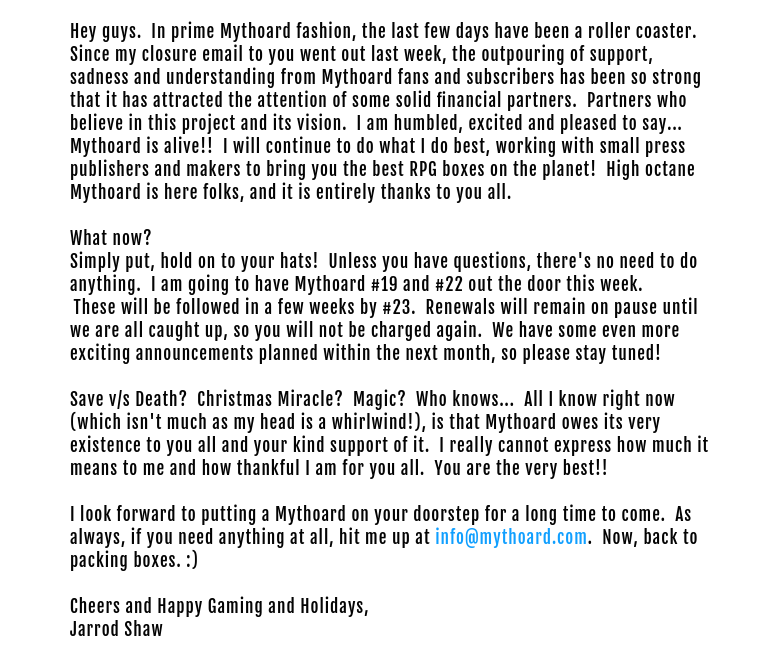 Someone Cast a Raise Dead Spell - Mythoard Rises From the Ashes! Remember last week when Mythoard was done? Apparently there is a Santa Claus, Virginia, because Mythoard is back! Barrel Rider Games / +James Spahn has a new release for Swords & Wizardry White Box - White Box Gothic. I'm chomping at the bit to read it, but I figured I'd share the fact that it has released first. I'm excited because I always like a little horror in my fantasy roleplaying. Not the over the top, often campy horror the the Ravenloft setting often coughed up, but something a bit more - I don't know, not realistic, thats for sure, but certainly something more. 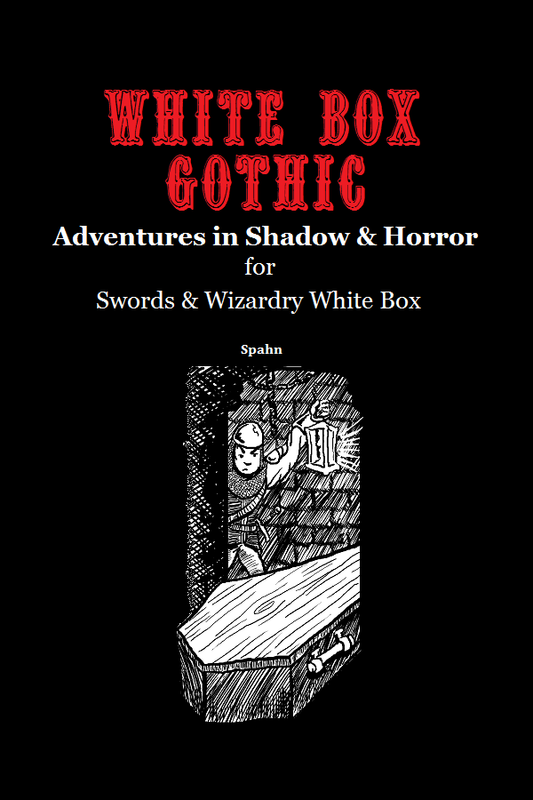 I trust James to have delivered that "something more"
White Box Gothic brings gothic horror to your Swords & Wizardry WhiteBox campaign! Inside this terrible tome you'll find a horde of horrors! - Six New Classes: From the deadly Monster Hunter to the damned Dhampir. - Thirty New Spells: Speak with the dead, defile the land, and bind spirits to your service! - Twenty-Five New Magic Items: Draw undead servants from your Bag of Bones, learn the secrets of the Book of the Damned, and draw hope from the Symbol of Piety! - Fifteen New Monsters: The lowly Cultist, the mysterious Breath Stealer, to the powerful Vampire Lord! - Optional Rules: Corruption, Dread, and laying Curses! Inside these fifty pages you'll find all manner of dark and dire secrets to vex your players and defy the undead! Disclaimer - I know James. Not only is he a good friend, but he is a coconspirator with myself on future Swords & Wizardry Light releases. We wouldn't be coconspirating if James weren't damn good! It seems The Taverners have taken it upon themselves to make a new challenge - who can find gaming Kickstarters with possible red flags. Now, just because something raises flags, doesn't mean its not a valid project. It does mean you shouldn't just jump in without doing some vetting on your own. Which takes us to Valley of Kildar | For 5th Edition and other RPG games. Its a setting and adventure package. The map looks fine if a bit simple although many old school gamers would find issue with the walled off nature of the setting. These are not flags, just observations. How will all of this be produced for 5 bucks? 2 - Print plus PDF buy in is $19 American. That apparently includes shipping. I'm willing to give the benefit of the doubt here and go with clueless. As an aside, there is no indication as to the size of the printed color map of the region not the printed "Zoom in" maps.